Partly cloudy this evening, then becoming cloudy after midnight. Low 46F. Winds SW at 5 to 10 mph.. The Montana Department of Transportation will begin construction on a roundabout at the intersection of York Road and Lake Helena Drive this month. Construction is expected to be completed by fall. 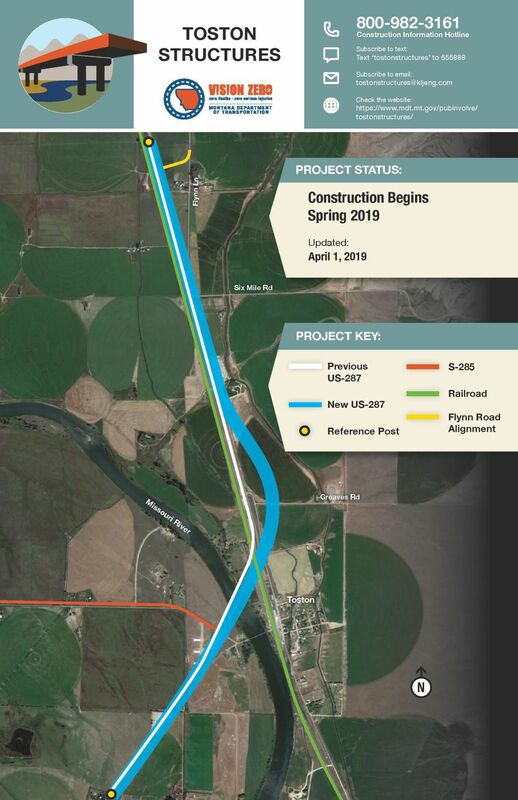 During construction, MDT says traffic patterns will shift and change through the construction zone, motorists should expect delays of approximately 10-15 minutes and speed will be reduced to 25 mph. Work will take place during daylight hours, typically 6 a.m. to 10 p.m.
MDT cited “numerous crashes” at the intersection as the need for safety measures. “From a safety perspective, it’s a better option than a light because when you come into a roundabout curve, you have to slow down and you only really have to consider the traffic coming from your left, so it has what we call a ‘traffic calming’ effect,” Brandon Coates, a public involvement contractor with RDCI, said in a previous interview. MDT is also considering roundabouts at other locations in the Helena Valley, mainly around Lincoln Road, Coates said. The estimated cost for the roundabout is $2.5 million to $3 million. Montana Highway Patrol Sgt. Jay Nelson echoed safety concerns in support for the roundabout. MDT will hold a public informational meeting at the Red Fox Supper Club, 4050 Fox Ridge Dr. from 4-6 p.m. on April 25. To sign up for construction email updates, text YORKROAD to 22828. Questions and comments can be sent to Brandon@rbci.net or by phone at 465-3350. More information and updates regarding the project can be found at: www.mdt.mt.gov/pubinvolve/yorkroad. MDT’s final phase of upgrading the roadway between Toston and Three Forks begins this spring. Construction will take place along a 3.5-mile section, beginning one mile north of the existing bridges and ending just past Radersburg Road on the south end. The project will increase the area to four-lane traffic, widen shoulders, replace three structures in the corridor, create a pedestrian tunnel, create a school bus turnout and includes wildlife crash mitigation. The animal collision rate in this corridor is five times higher than in other parts of the state, MDT says. Special fencing and animal crossing warnings will be installed, reducing property damage, vehicle-animal collisions and animal fatalities. The entire project is expected to cost $41.5 million. MDT also plans to resurface bridge decks on Interstate 15 between Gates of the Mountains and Wolf Creek starting in the coming weeks. Weather permitting, crews are planning to begin work in mid-April, though commuters and travelers may see signage on the roads prior to that time, the agency said. Construction will continue through the summer months and into September on the following bridges: Gates of the Mountains Interchange, Sieben Interchange, Spring Creek Interchange, Little Prickly Pear Bridge and Lyons Bridge. The traveling public may experience delays when wide loads enter and exit the project limits. Planning for additional travel time is advised, MDT said. The Lewis and Clark County Commission reopened public comment Thursday on a proposal to fund a major public access project near Augusta. Or people who can't figure out roundabouts and understand how they help might be a collective joke. This intersection has always been horrible. well overdue.